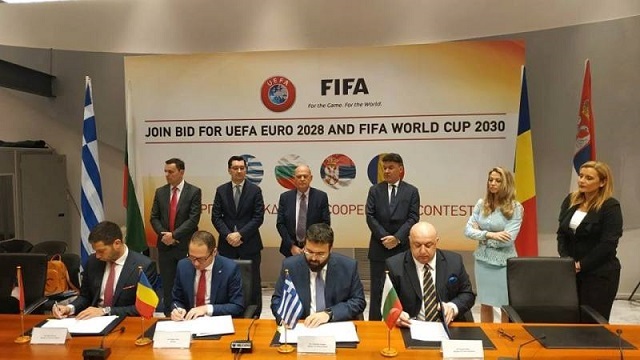 Greece, Bulgaria, Serbia and Romania have all signed a Memorandum of Understanding connected with the joint bid to host either UEFA Euro 2028 or the 2030 FIFA World Cup. 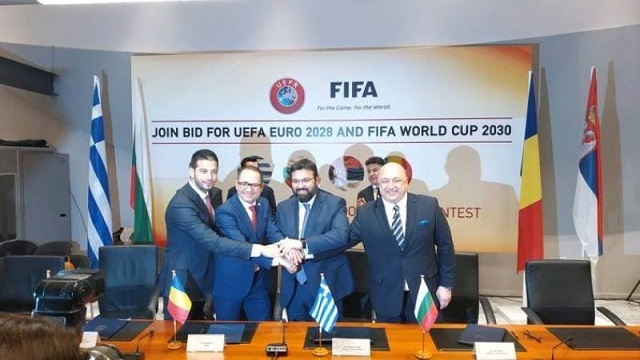 The four countries had already held negotiations concerning the possibility of preparing a joint bid for UEFA Euro 2028 and the 2030 FIFA World Cup, and on Saturday, the nations signed a Memorandum of Understanding in Thessaloniki to confirm they will make an attempt to host one of the competitions. 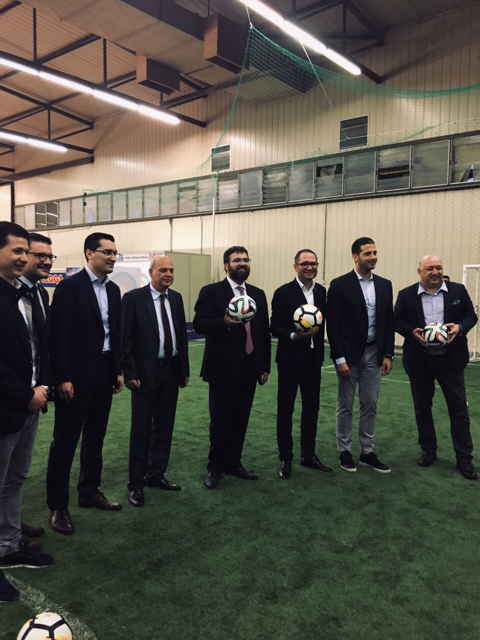 Deputy Greek Minister of Culture and Sport Giorgos Vasiliadis, Bulgarian Minister of Youth and Sport Krasen Kralev, Serbian Minister of Youth and Sport Vanja Udovicic and Romanian Minister of Youth and Sport Constantin-Bogdan Matei held a meeting before signing the agreement. 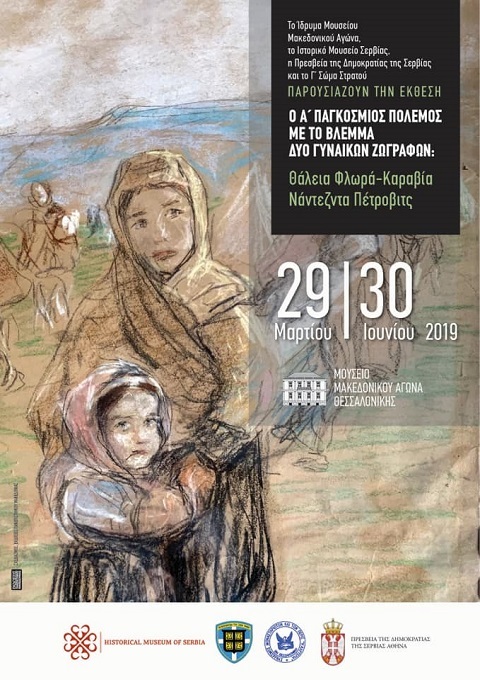 Organization: Museum of the Macedonian Struggle in Thessaloniki in cooperation with the National Historical Museum in Athens, the National Museum in Belgrade, the Historical Museum of Serbia in Belgrade and the 3rd Army Corps. Editors: Dr. Stavrula Mavrojeni, associate professor and director of the Center for the Research of Macedonian History, and Dr. Dušica Bojić, director of the Historical Museum of Serbia. The exhibition will last from March 29 to June 30. On the occasion of the Presidential Decree, with which the Serbian-Hellenic Chambers of Commerce, which is based in Thessaloniki, is recognized as a Chamber with a transnational status, a presentation of the two chambers was organised on 16.11.2017, which took place at the Serbian General Consulate, with the contribution of the Ministry of Interior (Macedonia and Thrace) which is based in Thessaloniki, and with the participation of the Serbian-Hellenic Chamber of Commerce in Athens. The goal is the affirmation and promotion of the bilateral economic cooperation in between the two countries. The event can be considered successful since the response was great (about 60 guests were present both representatives of the Diplomatic Corps and Greek authorities), unfortunately the number of attendants was smaller than expected due to the instruction not to attend public events since that day was a day of mourning for the catastrophic floods that afflicted Attica. 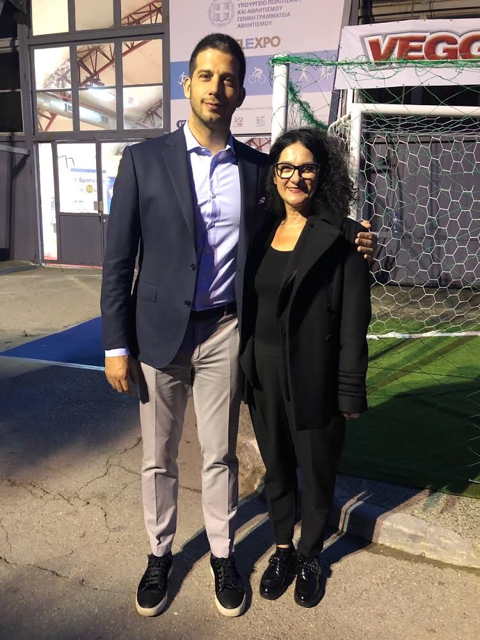 In the forefront were the Director of the International Affairs Office, which belongs at the Ministry of Foreign Affairs in Greece, mr. D. Papandreou and businessmen (the presidents of the bilateral Chambers, firm owners and directors). At the same time the finalization of the privatization of the port of Thessaloniki and the importance that was bestowed upon it by the Greek authorities (along with the progressing importance of city and Northern Greece in general) was underlined as something very significant for the bilateral economic cooperation of the two countries. 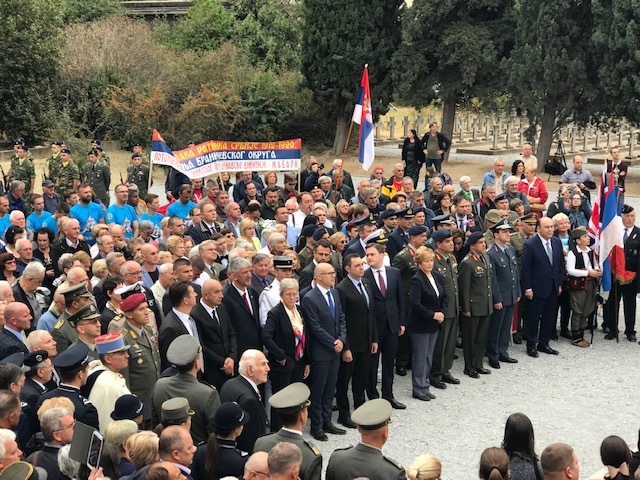 A ceremony took place on 11 November at the monument at the Serbian part of the Allied Military Cemetery, Zeitinlik to commemorate the Day of Truce of the First World War. On behalf of the Serbian Republic a wreath was laid on the monument by Major General Zelimir Glisovic, escorted by General Consul Sinisa Pavic and Military Attache G. Arsic and Lieutenant general S. Glvonic and then the representatives of Greek state, who attended the ceremony, Undersecretary of the Ministry of Growth and Energy, Sokratis Famelos, delegate of Central Macedonia Prefecture, representatives of the military and the Mayor of the city J. Butaris, members of the Diplomatic Corps and associations for cultivating tradition and the First World War. 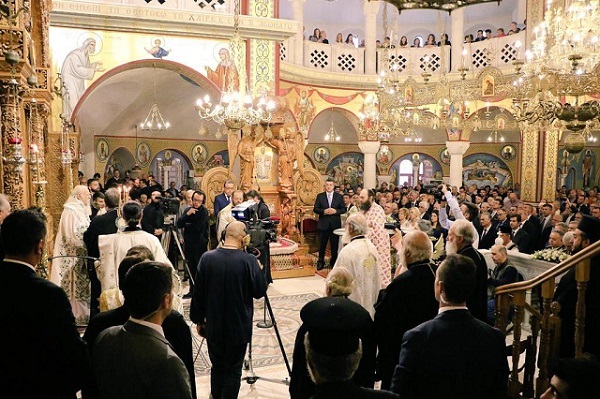 Also a representative of the Diocese of Neapoli and Stavroupoli. 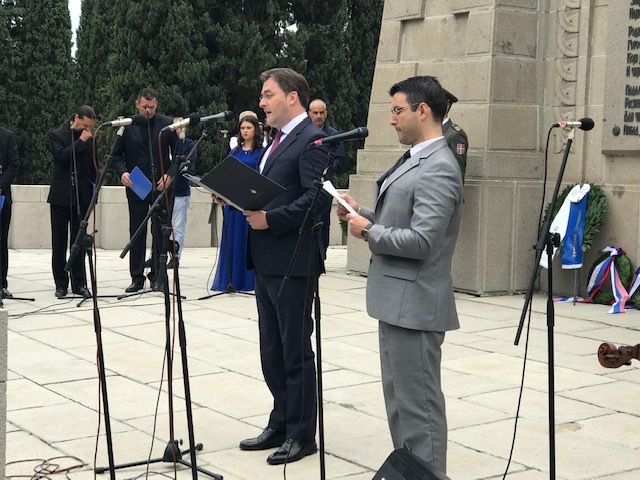 After the laying of wreaths and the minute of silence, the ceremony was completed with the intonation of the anthems of Serbia and Greece. 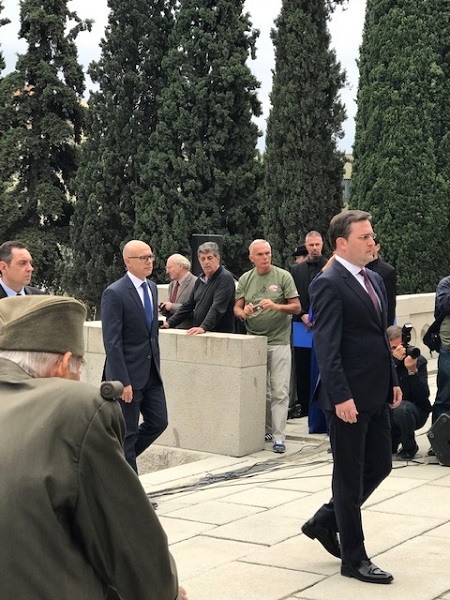 In accordance with the long-time practice, at the ceremony of laying wreaths, along with the General Consul was the guard of the Military Cemetery, Mr. George Mihailovic (which, in our opinion, makes this action even more interesting). After the end of the ceremony at the Serbian part of the Allied Military Cemetery ‘’Zeitinlik’’, similar ceremonies were held at the Russian, the British, the French and the Italian part of the cemetery (which compose the complex of Zeitinlik), and for the first time a ceremony was held in front of the Greek monument. To all of them the General Consul was present and he laid wreaths. Greek Independence Day, observed on March 25th, celebrates the country gaining independence from the Ottoman Empire after 400 years of rule. 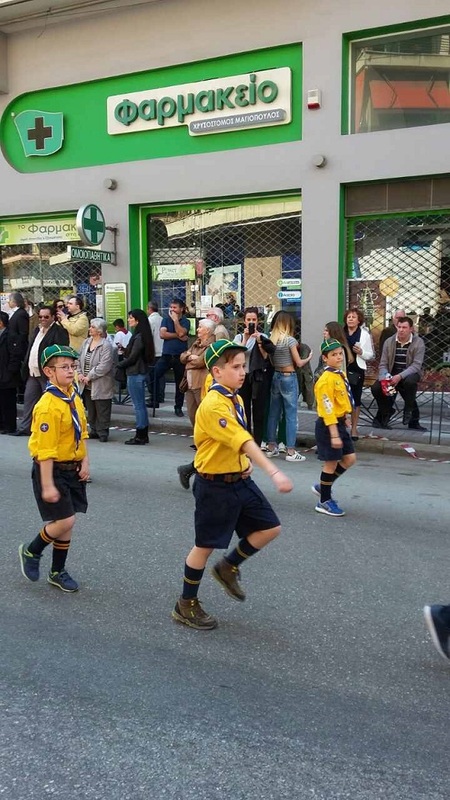 The national holiday is marked by great parades, by Greek armed forces and police, and student with a school flags parade, during which children march in traditional costumes and carry Greek flags. 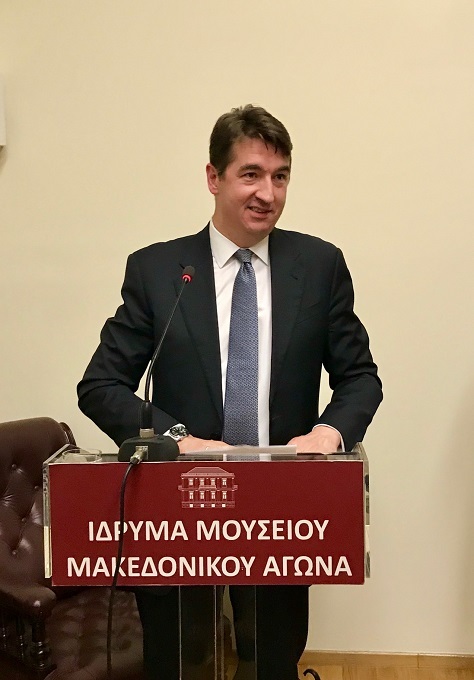 Ambassador of the Republic of Serbia in Greece, H.E. Dusan Spasojevic visited northern Greece from 20 until 23 of March. 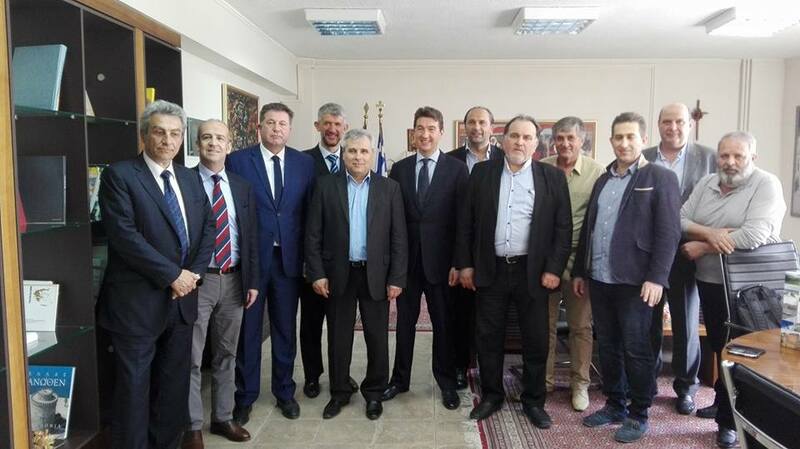 During this visit a meeting with direction of Chamber of commerce of Florina was organized by president of the Chamber of commerce of Florina, Mr. Sapalidis Savas. The meeting was attended also by Consule General of Republic of Serbia Mr. Sinisa Pavic, , and representatives of the Greek – Serbian Chamber of commerce from Thessaloniki, Kostas Georgakos – President and Branislav Bane Prelevic – Secretary general. On March 22nd at the University of Macedonia in Thessaloniki a presentation of history of the Consulate of the Republic of Serbia in Thessaloniki was presented by professor of MU, Department of Slavic languages, Mrs S. Mavrogeni (presenting history of the Consulate General from 1887. until today). 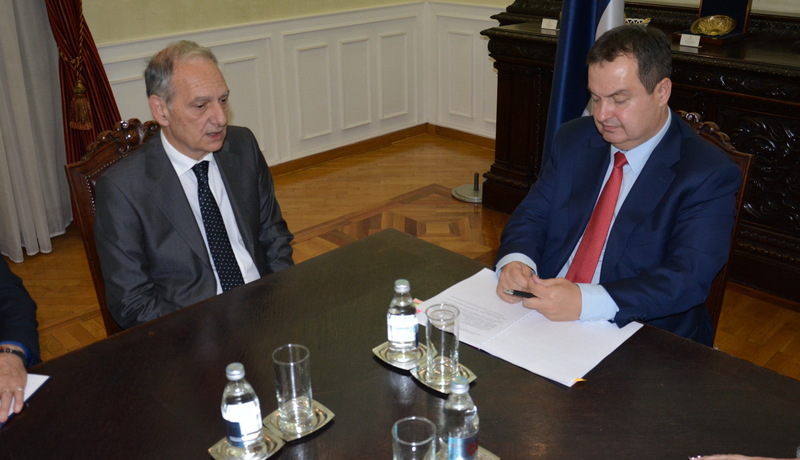 The presentation was attended by the Ambassador of the Republic of Serbia in Greece, H.E. Dusan Spasojevic and Consul General of Serbia in Thessalonici, Mr. S. Pavic, Consul of the Republic of Serbia in Thessalonici, Mr D. Glisic, president of Serbian - Greek chamber of commerce K.Georgakos and chairman of the Department of Slavic Studies at the University of Macedonia. In second part of presentation, an open dialogue between students of Serbian language and participants was opened. 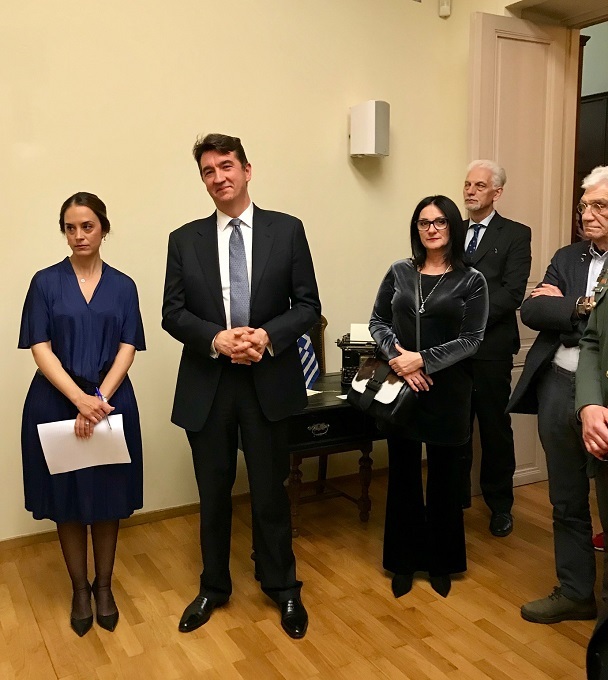 In the premises of the Consulate General of the Republic of Serbia in Thessalonici, on March 20, was organized the meeting between the consular corps, dedicated to the celebration of 130 years of existance of the consulate in Thessaloniki. The meeting was attended by Mr. D. Papandreou, Director of the Department of International Relations MFA R. Greece, Mr. S. Pengaz, Deputy Mayor of Thessaloniki responsible for for tourism and international relations, mr. D. Spasojevic, Ambassador of the Republic of Serbia in Greece and mr. K. Georgakos, President of the Greek-Serbian Chamber of Commerce in Thessaloniki and other guests, members of Consular Corps and other guests – friends of Serbia. 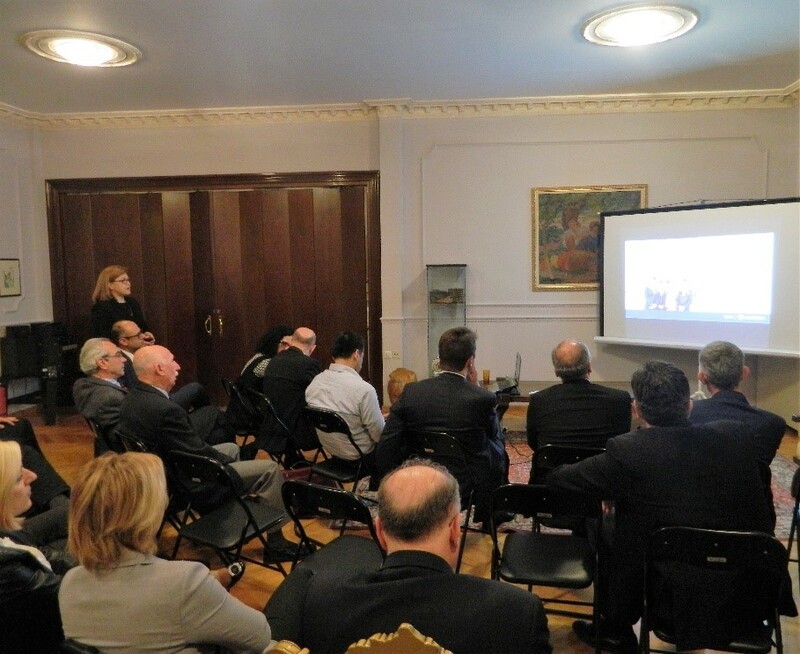 On that occasion, the audience was shown a video presentation "130 years of Consulate of the Republic of Serbia in Thessaloniki," and a presentation of "Air Serbia" held by Mrs. Kiki Kolacki, the representative of the company in Thessaloniki. 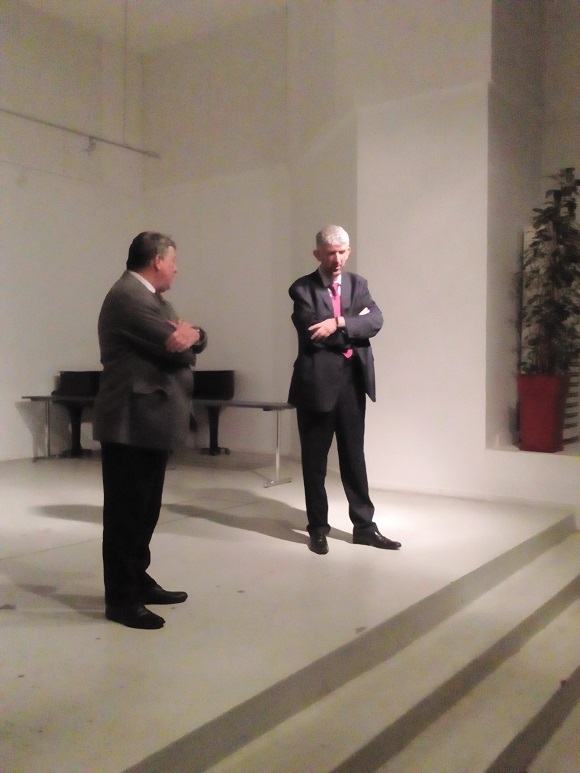 In the frame of "Month of Francophonie", at the premises of the French Cultural Center in Thessaloniki a projection of the film "Enclave" was organized. 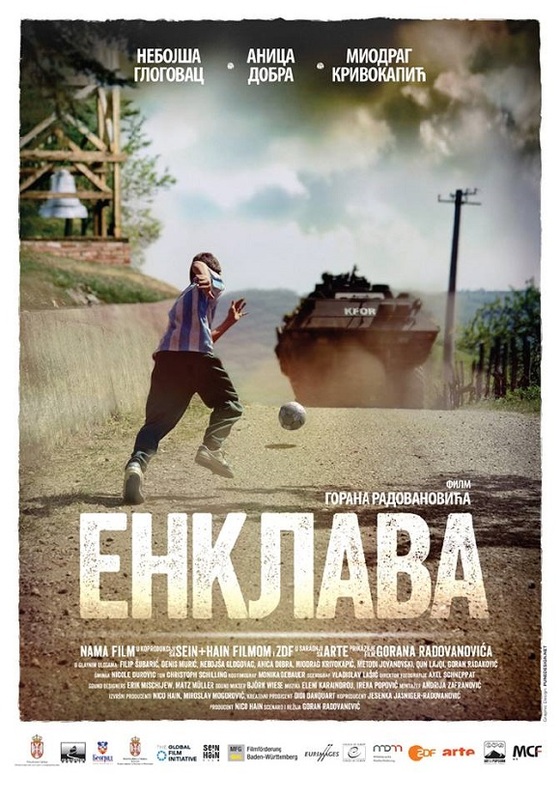 Projection was attended by Serbian Ambassador in Greece, Mr. Dusan Spasojevic, Director of the Institute and Consul General of the Republic of Serbia in Thessalonici S. Pavic. 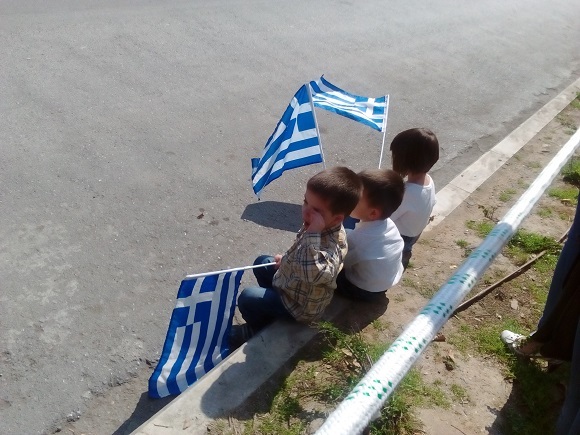 The audience consisted of visitors - citizens of three countries Serbia, Greece and France.